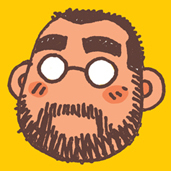 His manga appears on Japanese gay magazines, G-men, G-BLESS, SM-Z and Badi. If you have some projects that I can work on, please contact me at anytime. Two or three more books are coming in 2010.